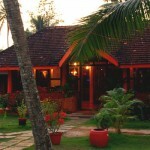 Coconut Creek Farm & Home Stay is a budget bed and breakfast Kerala homestay facility situated beside Kumarakom lake and bird sanctuary, in Kottayam district of Kerala, South India.Coconut Creek Farm & Home Stay comparatively the best and cheapest homestay in Kumarakom, which suits backpackers and budget travelers.Coconut Creek is only one Diamond category Homestay in Kumarakom. 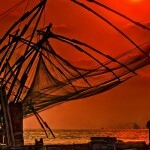 Department of Tourism, Kerala Govt. 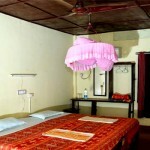 classifies Homestays into diamond, gold and silver categories. Diamond category is the highest rated. 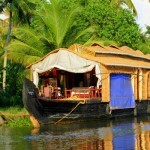 Coconut Creek Farm & Home Stay also offers traditional Kerala houseboat tours in Kumarakom and Alleppey (Alappuzha), car rentals (rent-a-car) and hotel reservations. 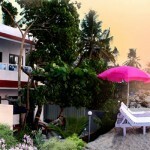 Complete Kerala holiday packages are also available on request. 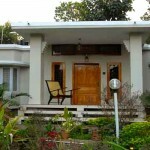 Coconut Creek Farm & Home Stay home-stay is an exotic haven of tranquility in a beautiful creek of Kumarakom Lake. 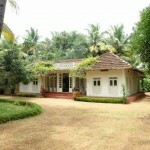 Spread across 4 acres, the ambience here is typically Keralite, facilitated with every modern convenience. With three independent A/c bed rooms, exotic bathrooms, dining rooms, living rooms, complete with a verandah, a private sit out and an enchanting view. 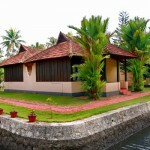 Coconut Creek Farm & Home Stay is a Kerala heritage home more than 60 years old, located by the side of a canal, which leads to the Kumarakom Lake. 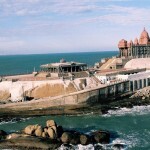 The homestay is located 2 mins. away from the lake and has a Church nearby. Trivandrum International Airport is the nearest from here.